Can you Freeze Leftover Pizza?- How Long does it Last? There are so many instances where you had to freeze a leftover pizza and almost every one of you would agree that you have had to do it at some point in time. Atleast in my case, there is always some leftover pizza and there was a time when I ended up storing my pizza in a way that they were simply soggy and not edible. This made me learn new hacks and tricks so that I could freeze pizza, easily store them and then reheat them without any issue. Do read the entire review as I would discuss a few ways in which you can reheat your pizza and it tastes like the pizza when it was just cooked and hot. How to Freeze and store a pizza? I always did the mistake of storing my pizzas along with the box they came in. Try not to do that as my pizzas always got soggy and the outcome was not that great. Instead, try to put them in a foil and store them in a container. I usually just keep them on a plate and then pop them inside the freezer. This way you are not restricting the air avoiding any situation of turning your pizza soggy. Now you can keep it in our fridge and this way you can easily store your pizza for around 3-4 days. However, make sure that you do not switch off your fridge while you have stored it inside as the hours the fridge doesn’t work, the temperatures might drop and it might open up a window for the pizza to go bad. Make sure in such cases you either eat the pizza or just throw it away. But do stay aware of the situation and do not ignore them when it happens. Another thing is not to store a pizza for more than 4 days. I know there are many posts where it is suggested that you can freeze it for longer but personally I do not think it is a great idea. Make sure you consume it as soon as you can within the next few days. How to reheat a Pizza Slice? 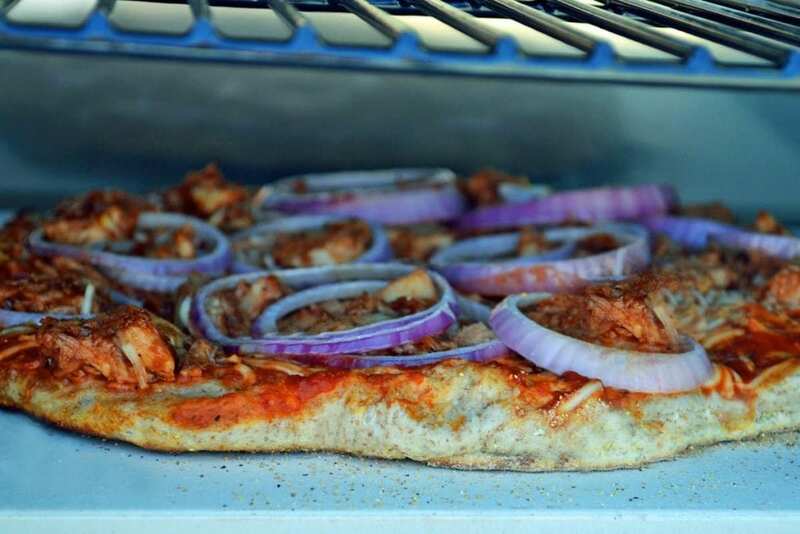 Now there is one way where you can put the slice inside an oven and heat it up again so that the slice tastes as good as it did before. Apart from that, you can put it on a pan and once you place the slice make sure to put the stove on high flame. 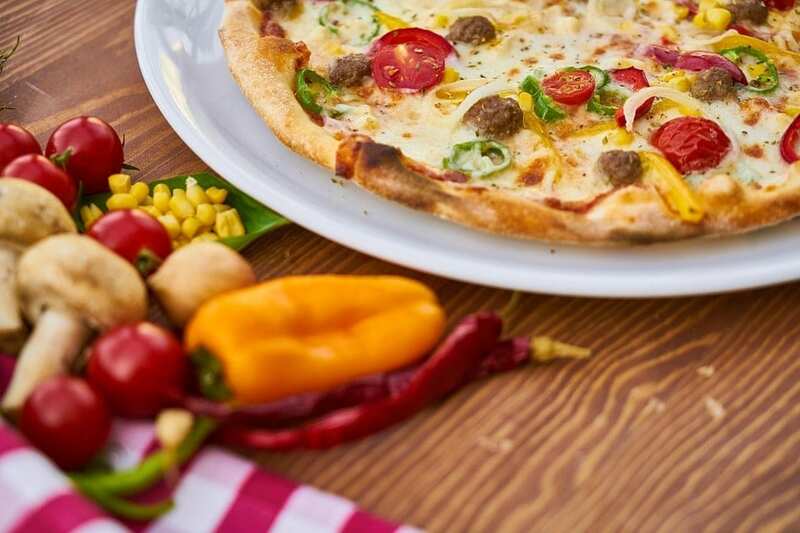 Now take a few drops of water and put it around the slice of pizza and as soon as you do it cover the pan with a lid so that the steam remains inside the pan and cooks the slice well. This way the slice gets heated from the bottom and the top making the pizza tastes really good. You would feel like you are eating a fresh slice so do try this trick and let us know how it works for you! Most of the time, I just reheat my pizza on the pan rather than putting it inside the microwave oven. I guess I’m used to using the pan and find it easier that way. Although you can reheat your pizza slices inside a microwave oven, you should try the pan trick and let us know which one is better. Personally, I found it easier reheating on the pan and it is a little fun when you sprinkle some water and see all the steam form. This is something satisfying for me to watch so I can be a little biased. Which one works better for you? Let me know in the comments below!